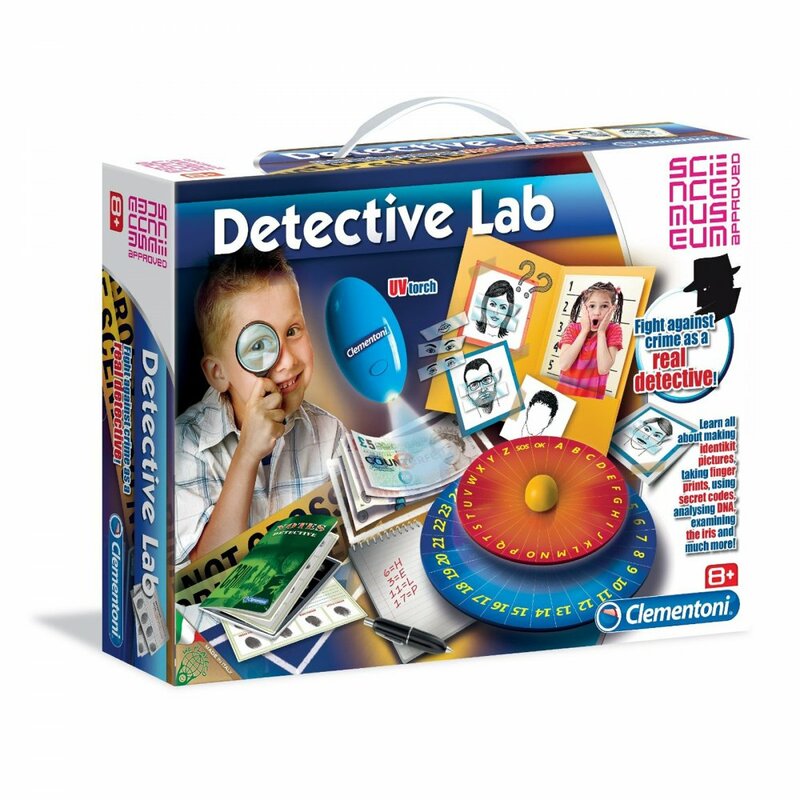 Would you like to be a detective, here is a fun scientific kit to experiment the most modern investigation techniques. Recovery of fingerprints, DNA analysis, use of secret codes. Snap fasteners, plaster of Paris (Calcium Sulphate), shiny black fingerprint detector, sponge, paint pot (blue finger paint*), cardboards for DNA samples, secret code dials, tags for numbering traces, ruler, spatula, notebook (with fingerprint cards), masks for iris test, UV-torch,Paintbrush, identity kit materials, secret code grid, illustrated manual.